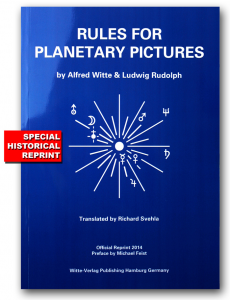 The RULES FOR PLANETARY PICTURES translation of 1939 based originally on the early teachings of Alfred Witte, which he had made between 1926-1927. This translation by Richard Svehla is to this day the ONLY AUTHORIZED English language collection of interpretations that reflects Alfred Witte's point of view 100%. 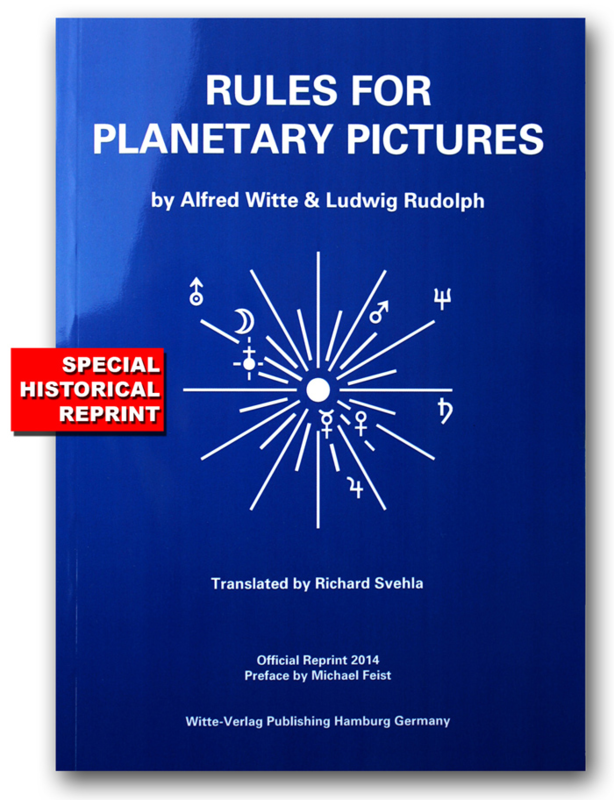 In 1928 Ludwig Rudolph (Witte-Verlag Publishing Hamburg) obtained Witte's permission to compile the rules for public presentation in a book. Since then and still today, the different German Rules Book editions, were published originally by »Witte-Verlag« Publishing Company of Rudolph's family. During the first period, in the early 1930ies, Richard Svehla asked Ludwig Rudolph’s permission to establish and represent the »Uranian System of Astrology« (»Hamburg School«) in the USA. In addition Svehla requested translation rights. It followed that Svehla truly was the first official representative of the »Hamburg School« for North America. In fact, he is the only US representative who was ever authorized by Ludwig Rudolph with the support of Alfred Witte. The Rules Book translation by Richard Svehla, 1939, is based on the first period. It is regrettable that so far this historical edition is widely unknown in today's English speaking world. This official reprint of the original will close this gap of knowledge.